Just in time for this weekend’s grilling menu!! 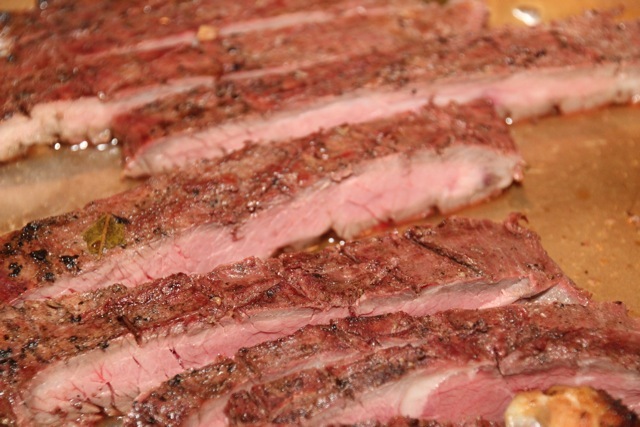 Another great dish for grilling is our Asian Scored Flank Steak. 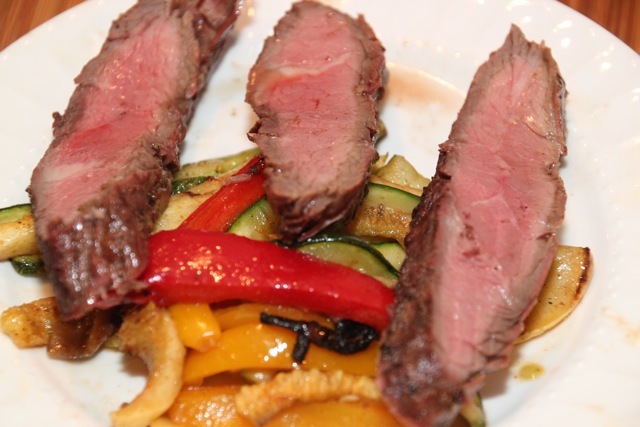 You start with a relatively inexpensive cut of beef and marinate it with a marinade that has a hint of Asian flavors. When you combine the beef with the seasoning and the smoke from the grill it is a always winner! We prepared this in our last grilling class . . . IT WAS A HIT!! Let’s grill some Asian flank steak! Rinse the lemons well. Cut each in half and squeeze the juice with a citrus press. Place the lemon juice in a large non-reactive mixing bowl. Cut the rind of 1 lemon into ¼ inch dice and add it to the juice. Add the soy sauce, vinegar, oil, onion garlic bay leaves, coriander seed, and pepper and whisk to mix. Set aside half of the lemon juice mixture to use as a sauce. Score steak on both sides in a crosshatch pattern, making shallow cuts on the diagonal no deeper than 1/8 inch and about ¼ inch apart. 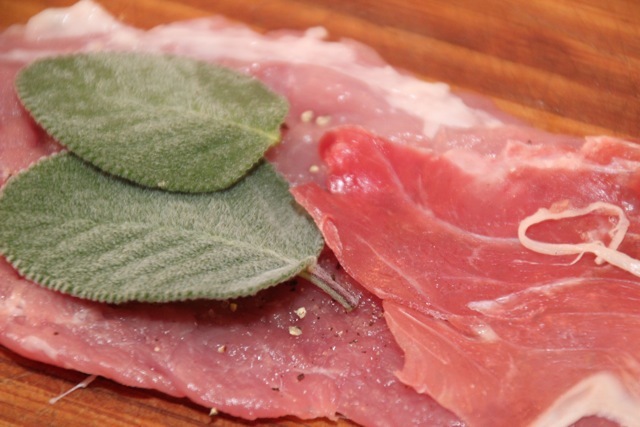 This will keep the flank steak from curling as it cooks (you don’t have to score sirloin). Spread half of the remaining lemon juice mixture in the bottom of a non-reactive baking dish just large enough to hold the meat. Place the meat on top and spread the other half of the lemon mixture over it. Let the steak marinate for at least 6 hours preferably overnight. 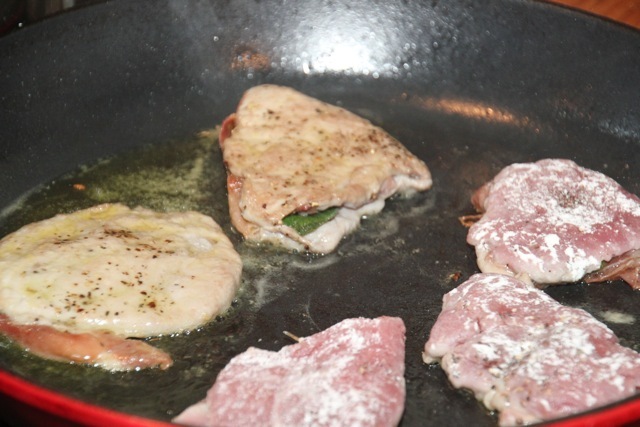 When ready to cook, drain the meat, scraping off most of the marinade with a rubber spatula. Preheat the grill to high. Oil the grill. 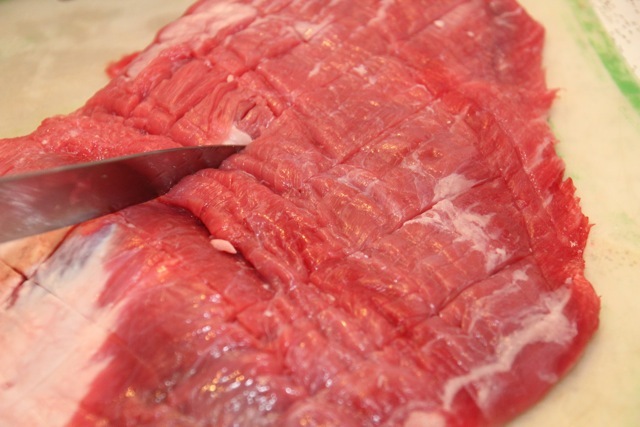 Place the flank steak on the grill and cook approximately 4-6 minutes per side for medium-rare. If using sirloin steak, medium rare will take a bit longer, about 5-8 minutes. Finally, we made to my favorite part of the recipe . . . ENJOY!! Thank you for following and reading. 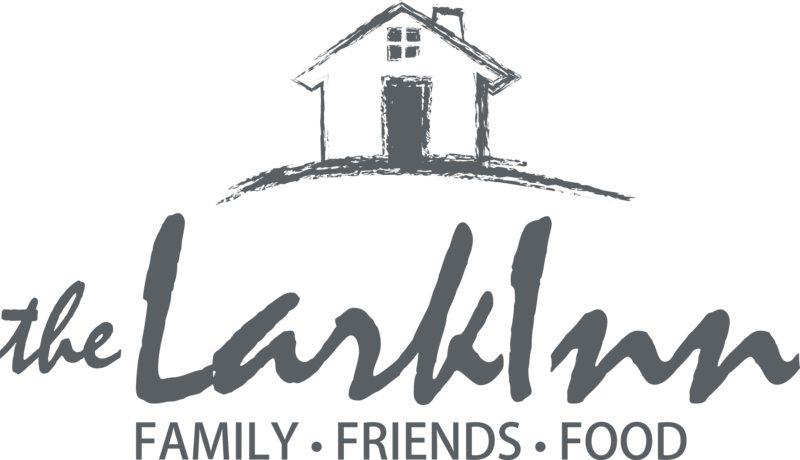 don’t forget to check our website: www.TheLarkInn.com to learn more about our next cooking/grilling class and to learn about our guesthouses right in the heart of The Flint Hills of Kansas. The weather has turned and it is an awesome time to be here! 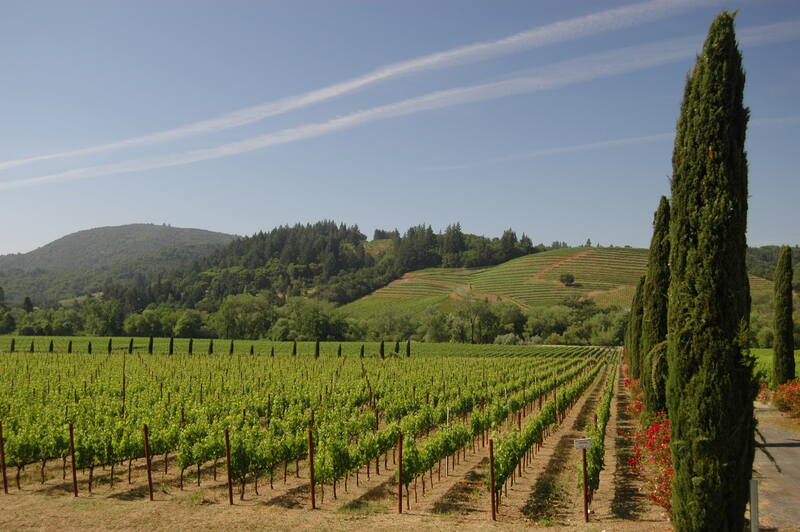 First, for those of you not familiar with Napa Valley, a bit of familiarization. 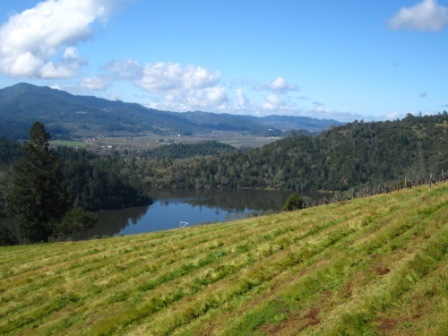 The Napa Valley is north of the San Francisco/Oakland area by about 25 miles on highway 12. It is a lush valley about 15 miles long from south to north and about 2 miles wide (west to east) at its widest point. Highway 12 runs north and south along the western side of the valley and Silverado Canyon Road is its counterpart on the east side. 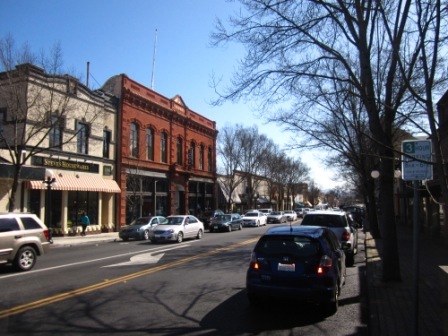 There are several little towns primarily along highway 12 starting with Yountville on the south end, then Oakville, St. Helena and concluding at the north end of the valley with Calistoga. 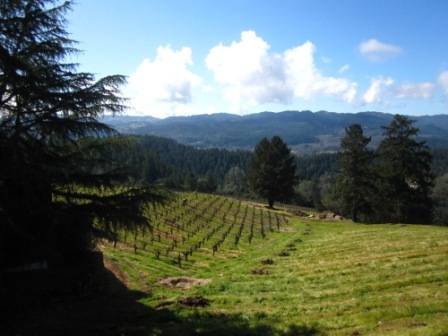 In an around the valley are roughly 18 ba-zillion wineries ranging from the big boys . . . Rutherford, BV, Sutter Home . . . right down to the small boutique wineries. For more info go to: www.napavalley.com. Enough history. Let’s get on with the near perfect day! 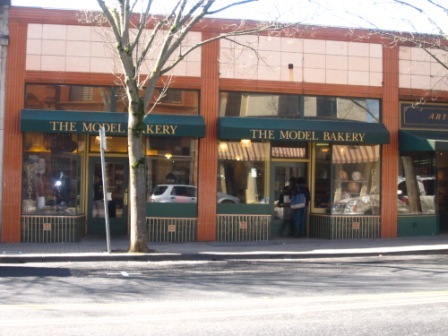 We slept in and took care of some business and then, on the recommendation of Michael Chiorello on The Food Network, we headed for the Model Bakery in St. Helena for a late breakfast. This bakery is fantastic. Michael had spoken about their unique English muffins and he did not lie! 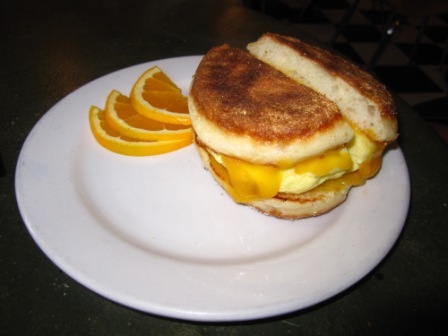 glish muffin with butter on the side (how else should you eat English muffins? St. Helena is a great little town to shop . . . up one side of the street and back down on the other. We shopped a little and then headed off to our favorite boutique winery; Burgess Cellars. Burgess Cellars is a great little winery on the east side of the valley and up the hill making for super vistas. They have very reasonable prices (in comparison to the other wineries in Napa) and several award winning red wines from merlots to cabernets, shiraz and several blends. By the time we left Burgess it was well after noon . . . even in California. We went just down the hill and a bit to the north (like ¼ mile) to Duck??? 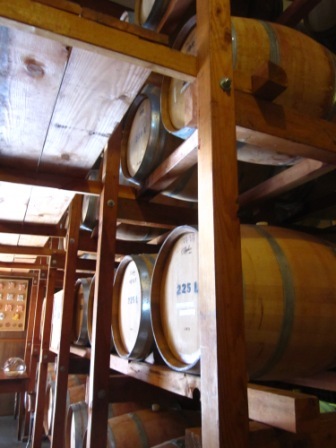 Winery. They had some nice red wines though they were about 40% more expensive than Burgess and the wines not much better . . . at lease for my pallet. It is well worth the trip though. It is a very nice place with a great area outside atmosphere and the tasting is $20.00 per person and ample. We tasted a few wines and decided it was time for lunch. 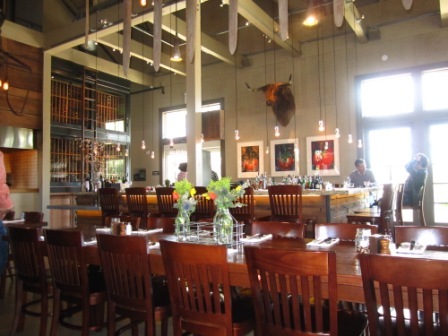 You can’t go to Napa Valley without eating at the Farmstead Restaurant. It is back in St. Helena and is a great place for lunch. It is like eating in an upscale, newly built barn . . . oh wait . . . it is! Their food is fantastic, the portions very large, the menu; very inventive and the atmosphere . . . couldn’t be better. The Farmstead is part of the Long Meadow Ranch Winery and they will give you a token for free wine tasting (imagine that!). Another nice thing about the Farmstead is that they don’t charge a corkage fee if you want to bring in your own wine. Check out The Farmstead at: http://bit.ly/gISYVu. Pat had a Muffela Sandwich with Bierwurst and I had a cob salad. We could have easily ordered one of the entrées and shared but . . . it was more than enough! The next “can’t miss” in Napa Valley is Michael Chiarello’s Bottega Restaurant in Yountville. This restaurant subscribes to the business philosophy that makes the American Dream come true and that is: deliver exceptional value for a reasonable price. Pat and I have eaten at a lot of high end restaurants from LA, New Orleans, New York and points in between and Bottega is in the front of the pack but, their prices are among the most reasonable in the Napa Valley or any other place. Our first time there, we went with another couple and shared the Polenta Under Glass, caramelized wild mushrooms, balsamic game sauce and Shaved Artichoke Salad Two Ways lemon olive oil braised and roman fried, shaved parmigiano reggiano appetizers. The staff at Bottega took it upon themselves to replate these selections for each of us individually and the presentation was stunning. 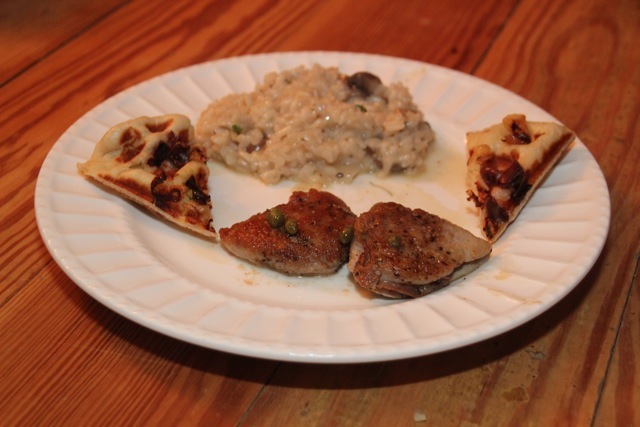 For our main dish, the four of us shared the Wood Grilled Chops of Grass-Fed Lamb fuyu persimmons with tarragon, fennel seeds, white balsamic vinegar, California olive oil, creamy ancient grain polenta and the Twice Cooked Natural Pork Chop Peck seasoning, pancetta wrapped stone fruit, pork jus. Again, everything was re-plated for four and oh yeah . . . the food was to die for! Wine selections were over the top. We ended up with the Bottega Old Vine Zin with the help of the Bottega staff and it was a fantastic complement to our food choices, the ambiance and the evening all together. Have a glass of wine and relax . . . it's OK!